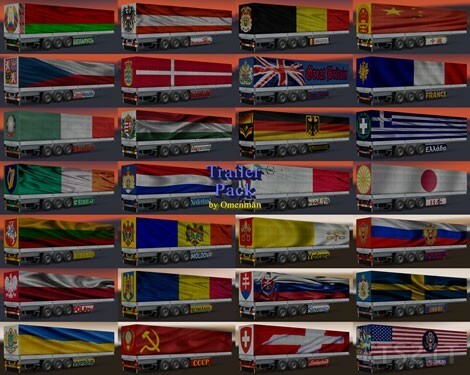 Mod trailers with symbols nations of the world. The package of 28 trailers. Soviet Union! Really bro?… Really?? ?